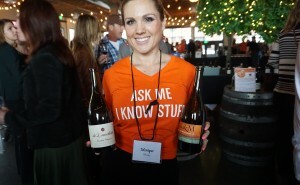 When a fantastic organization holds an annual event entitled Corks + Forks and you, as a wine writer, have a blog entitled Corks & Forks, there must be an unspoken rule for your attendance, right? 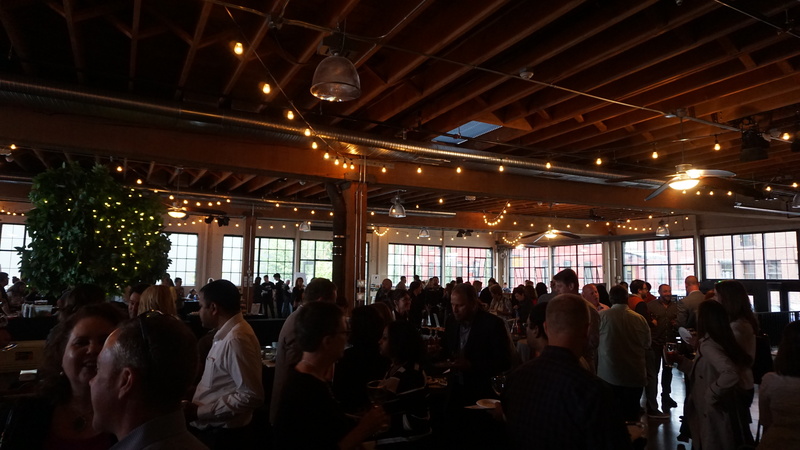 On June 9, Classic Wines Auction held their third annual urban winetasting at Castaway—a popular and welcoming event space in NW Portland. 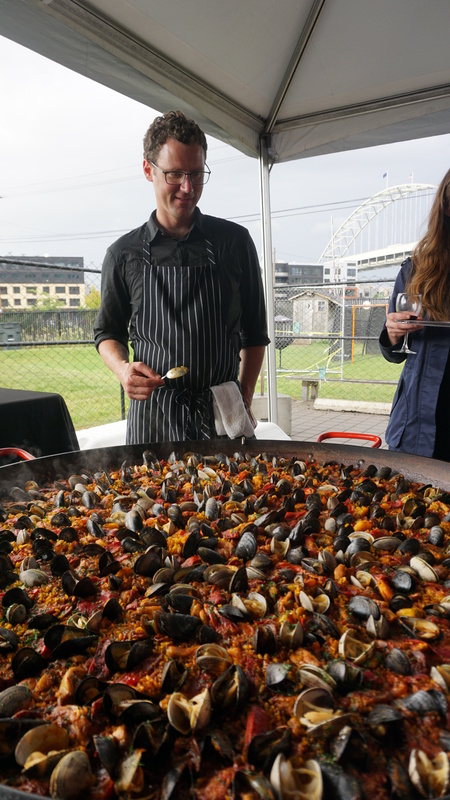 Taking advantage of the mild climate and outdoor area, there was a little more elbow room than previous years and everyone in attendance was in the mood for premier wines and outstanding food pairings. Benefiting local charities, proceeds for 2016 Classic Wines events go to Metropolitan Family Service (MFS), New Avenues for Youth, Friends of the Children-Portland, Randall Children’s Hospital at Legacy Emanuel, Special Olympics Oregon and Vancouver’s own YWCA Clark County. 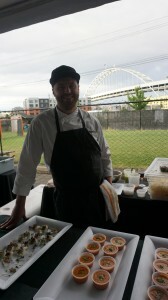 The Thursday night event was highlighted by a live DJ, photo booth and guest sommeliers like the engaging Frederick Armstrong and charming Monique Alloway. In total, there were 16 somm pours—one for each winery in attendance—and seeking out these special samplings was worth the extra effort. 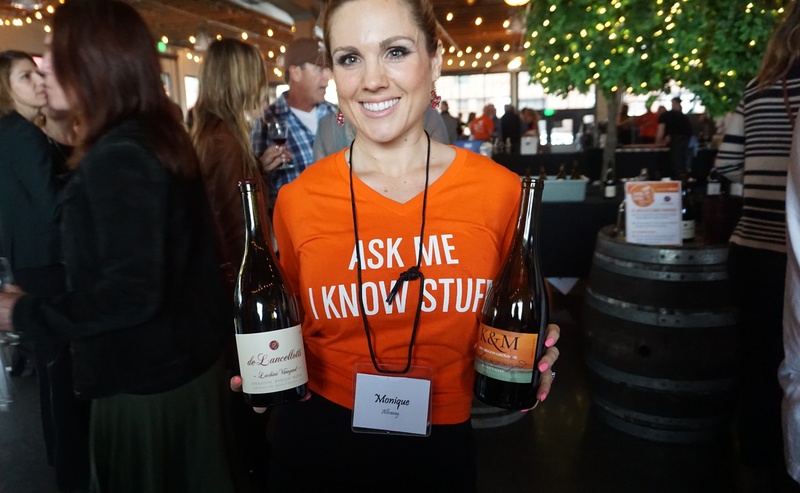 With passion, each one extolled the virtues of such offerings as de Lancellotti’s 2014 Lachini Vineyard Chehalem Mountains Pinot Noir (elegant and earthy) or Dusted Valley Vintners 2013 Tall Tales Walla Walla Valley Syrah (spiced velvet with a lingering chocolate-cherry finish). Helping bridge the flavor nirvana were 14 touted Portland eateries including Crown Paella, flat bread bites from Cyril’s, lightly cured local salmon from La Moule, English pea soup with morel mushrooms, house ricotta and tomato oil (one of my favorites which paired stunningly with K&M’s 2013 Alchemy Vineyard Pinot Noir), chef Althea Grey Potter’s smoked carrot dish accompanied by Division Winemaking’s 2014 “Cinq” Armstrong Vineyard Ribbon Ridge Pinot Noir and a host of beefier dishes for the many carnivores in attendance. Since its 1982 inception, Classic Wines Auction has raised almost $40 million for Portland-area charities and is consistently recognized as one of the premier wine auctions in the country. Case in point; on the day of the Corks + Forks event, the Randall Children’s Hospital at Legacy Emanuel in Portland was presented with a check for $406,548. 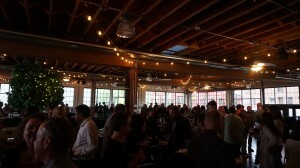 That’s what happens when wine fans come out in force. The next Classic Wines event is its inaugural Oregon Polo Classic Charity Polo Championship Weekend, held July 23 & 24 at West Linn’s Hidden Creek Polo Club. 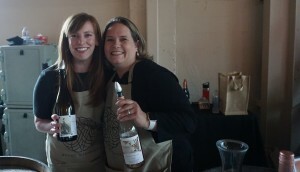 For more information or to purchase tickets for any of the upcoming events, go to http://www.classicwinesauction.com/.